ขนาด : ยาว 180 x 30 x 75ซม. 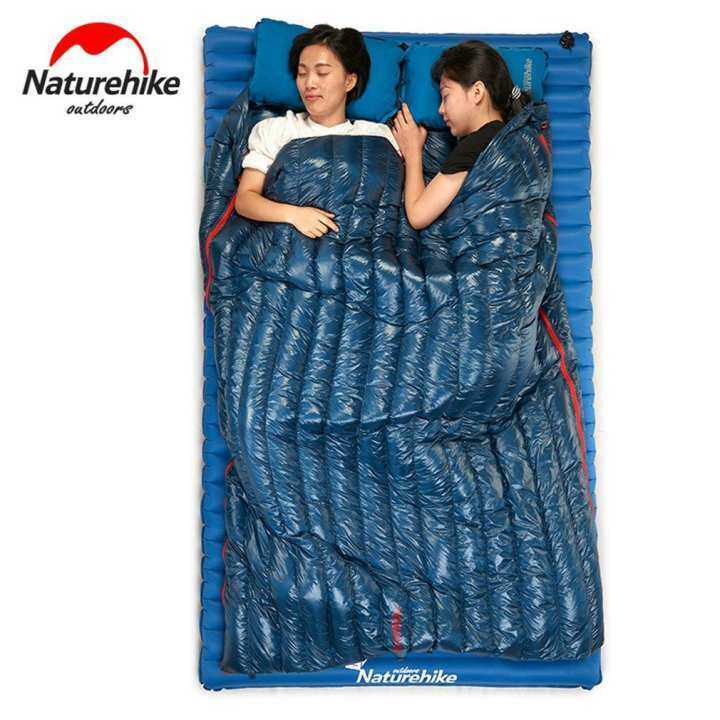 Features:Sleeping bags especially for winter and autumn.Unzip the sleeping bag, you can use it as a quilt.Drawstring hood for additional protect.Adopts water-resistant, breathable and crease-proof fabric.Breathable and soft for a more comfortable nights sleep.The sleeping bag can expertly provide long-hour comfort without losing heat.Description:Envelope style hood with drawstring keeps pillow or head off the ground.Smart technology ensures a comfortable, durable, high-quality sleeping bag.Great multi-use product for survival, backpacking, biking, scouts, camping.Lightweight goose down bag, perfect for backpacking trips during most camping seasons.The sleeping bag offers you extra comfort during Adventurous activities but without adding any extra pounds to your backpack.Specifications:Color: Khaki/ Navy bluePeople: SingleMaterial: 15D 400T NylonLining material: 15D 400T NylonFill: 95% Goose downFolding size: 12*12*26cmFlat size: 190*72cmPackage include:1 x Sleeping BagNotes:Due to the difference between different monitors, the picture may not reflect the actual color of the item. We guarantee the style is the same as shown in the pictures.